This majestic five-bedroom villa stands proudly on a verdant hillside just inland from Sri Lanka’s beautiful southern coast. 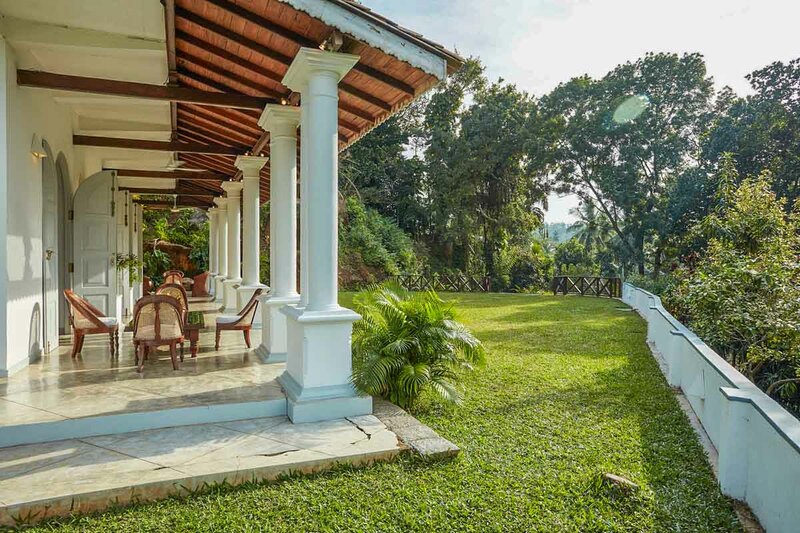 Exceptionally spacious, private and tranquil, Villa Pooja Kanda is wrapped by a two-acre tropical garden with an extensive lawn at the front. 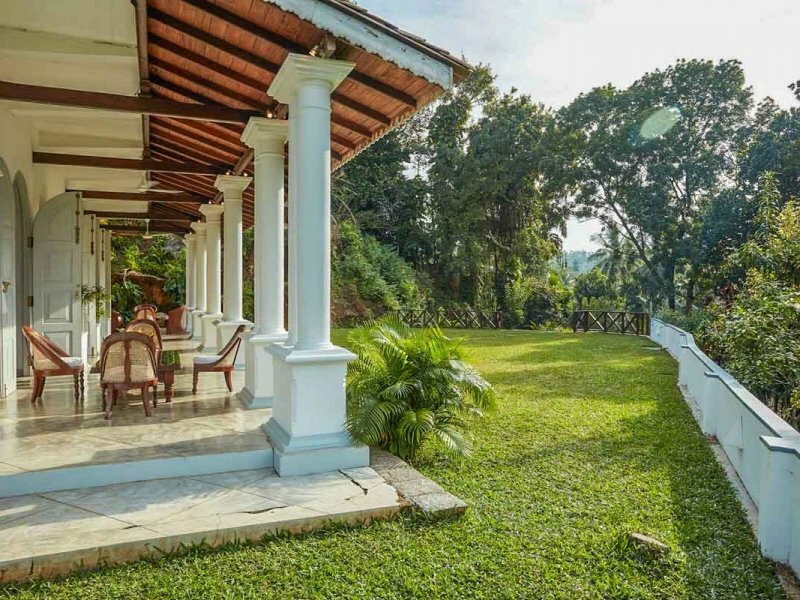 Borders overflow with flowering shrubs and exotic foliage, and this tamed wonderland makes a paradise for wildlife and birds. 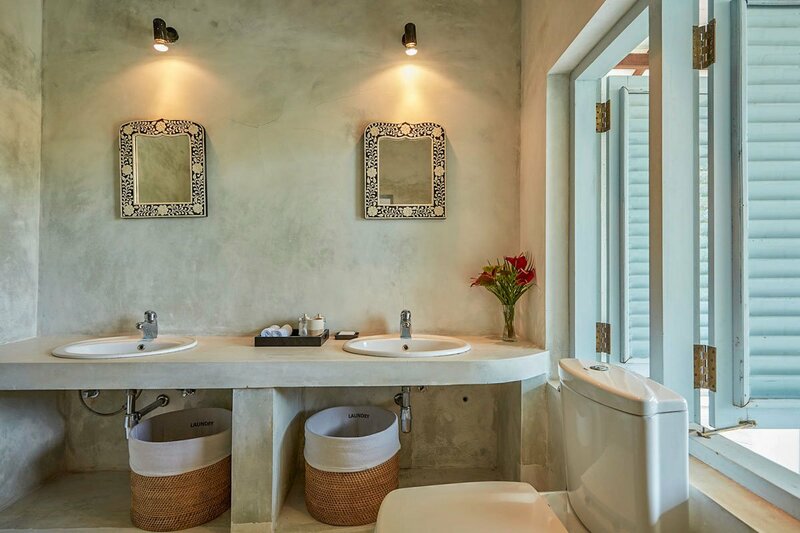 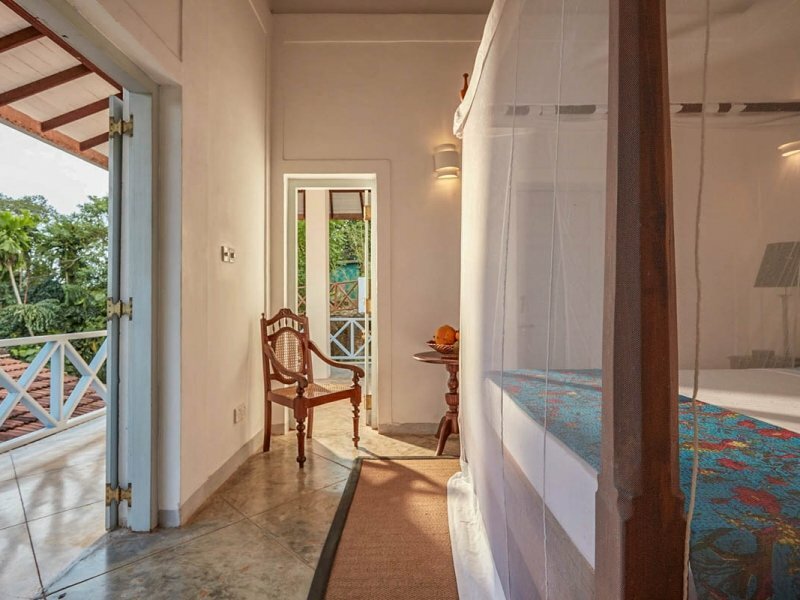 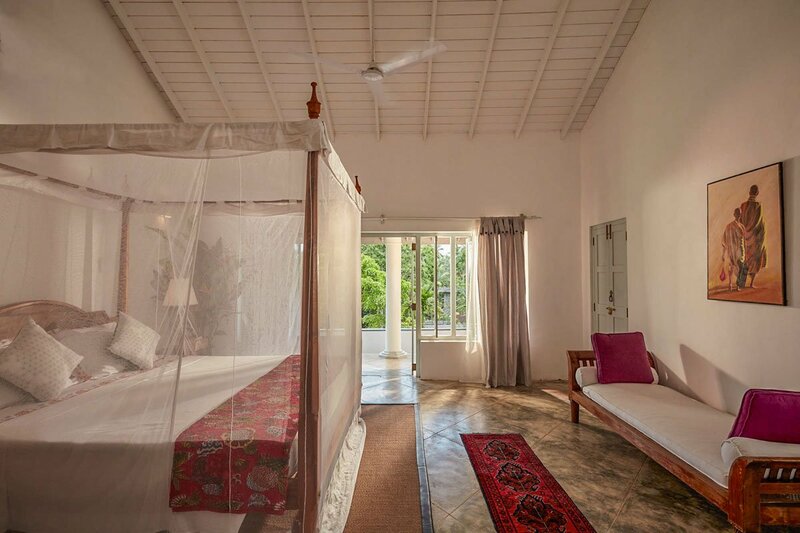 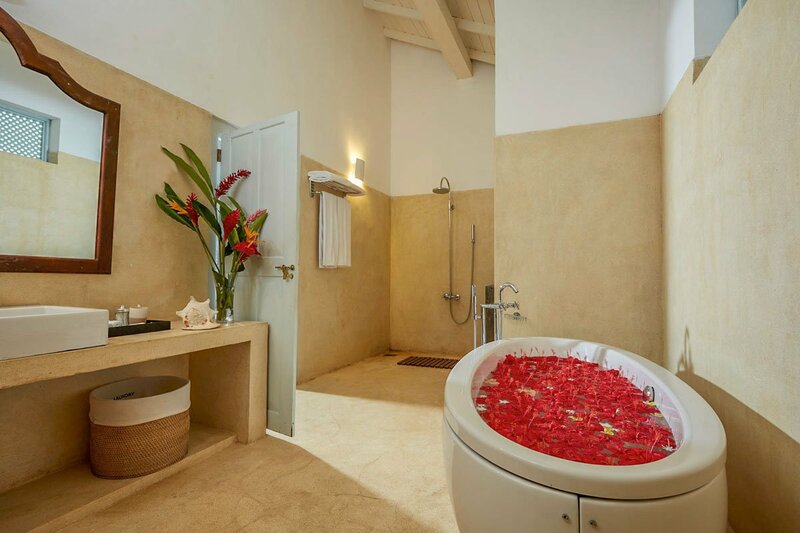 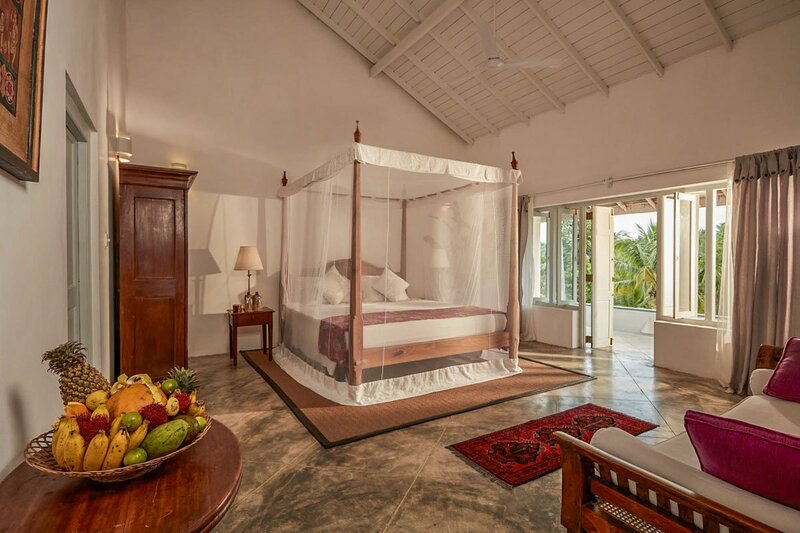 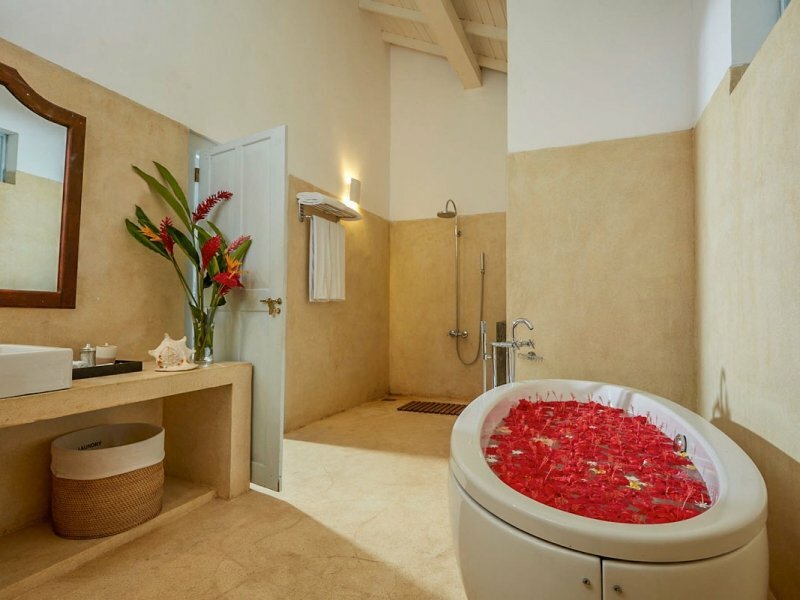 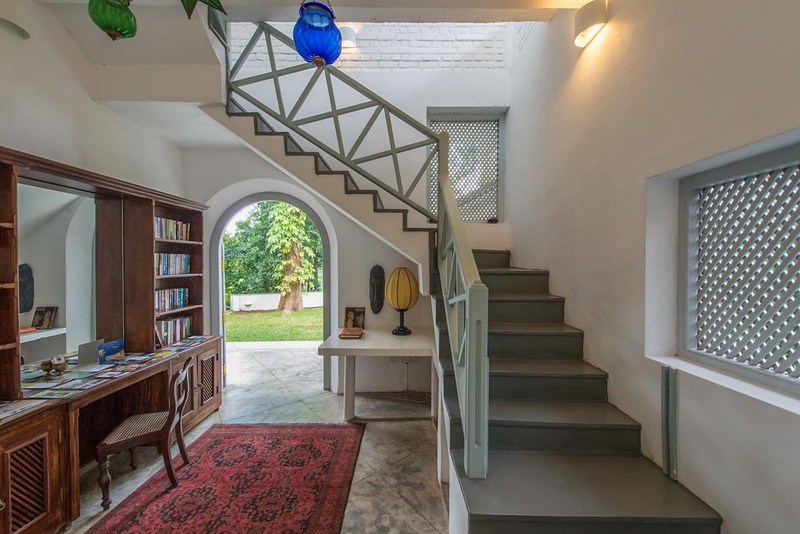 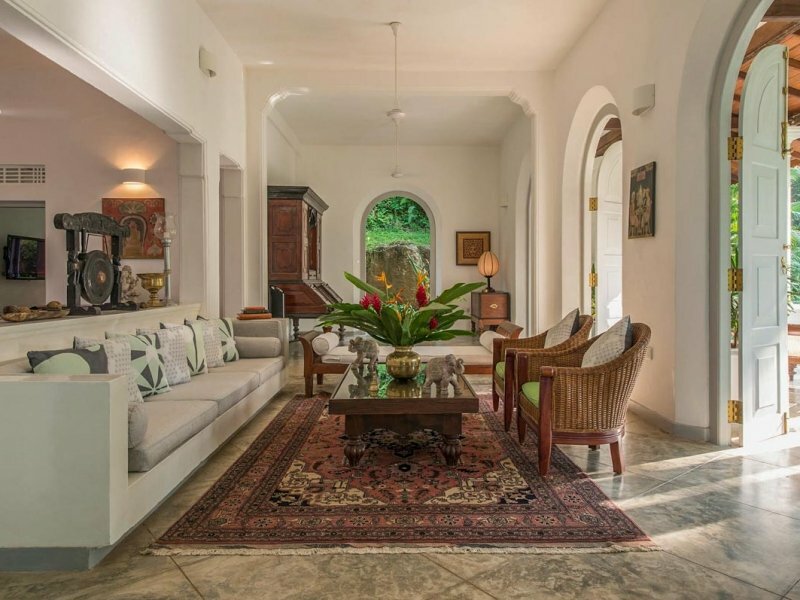 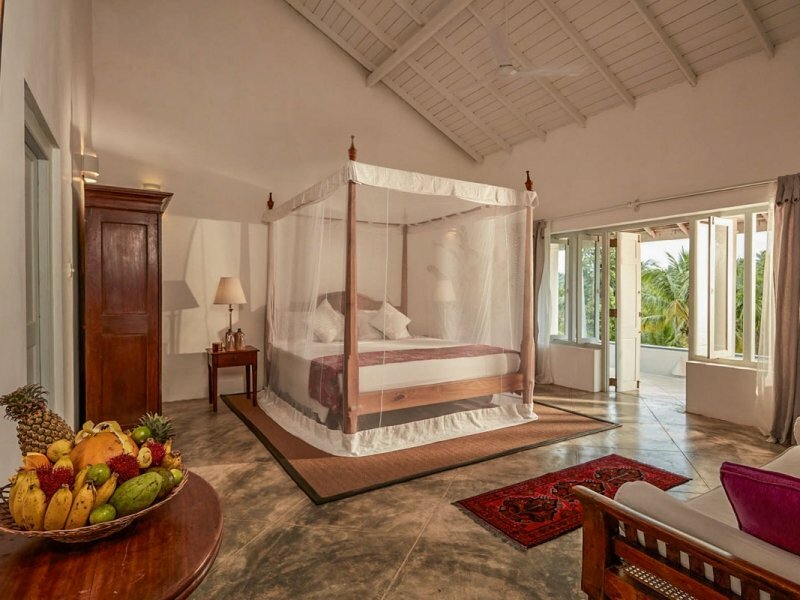 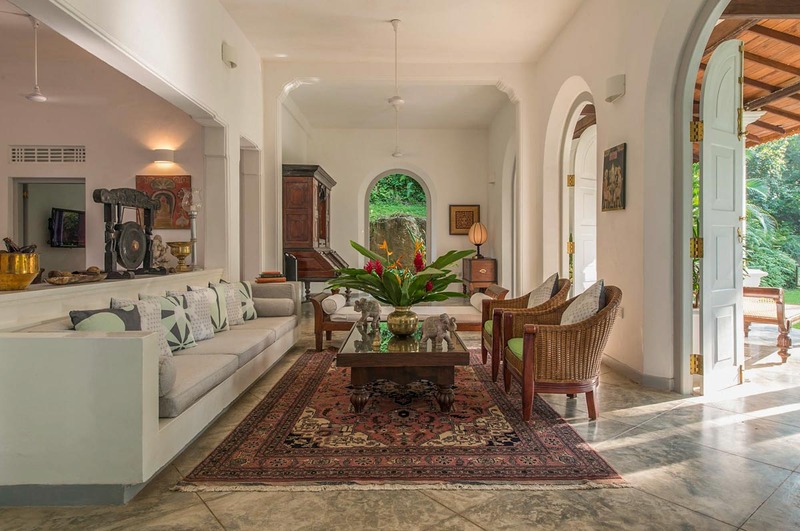 Designed in the Dutch colonial style, Villa Pooja Kanda blends the new with the old. 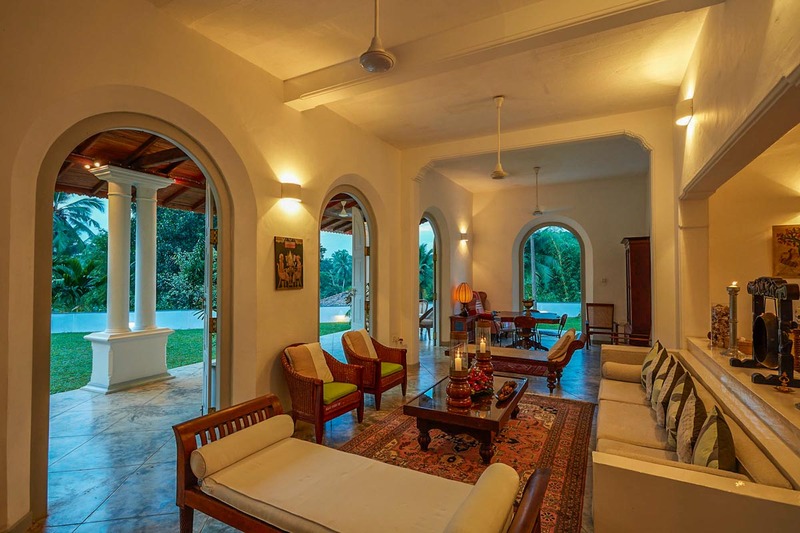 Imposing pillared verandas furnished with rattan loungers spill onto an emerald lawn and lead into airy living and dining areas through elegantly arched doors. 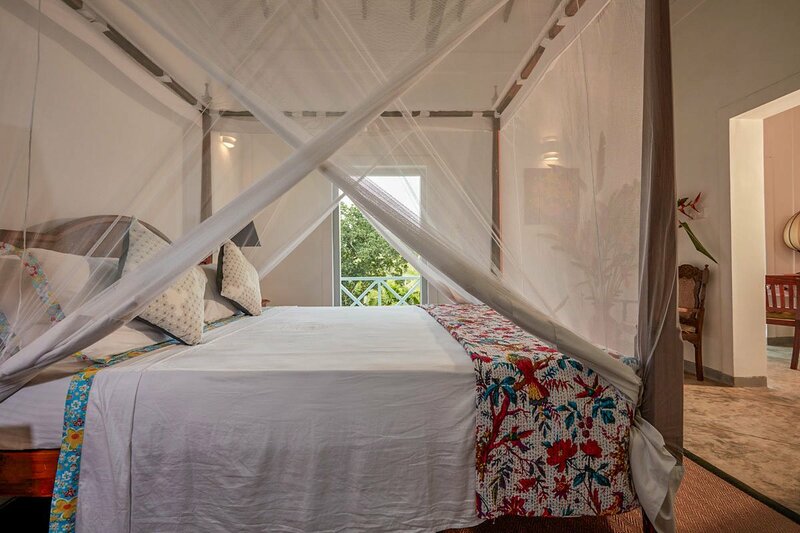 Two of the bedrooms are on the ground floor while the remaining three offer garden views from the upper floor. 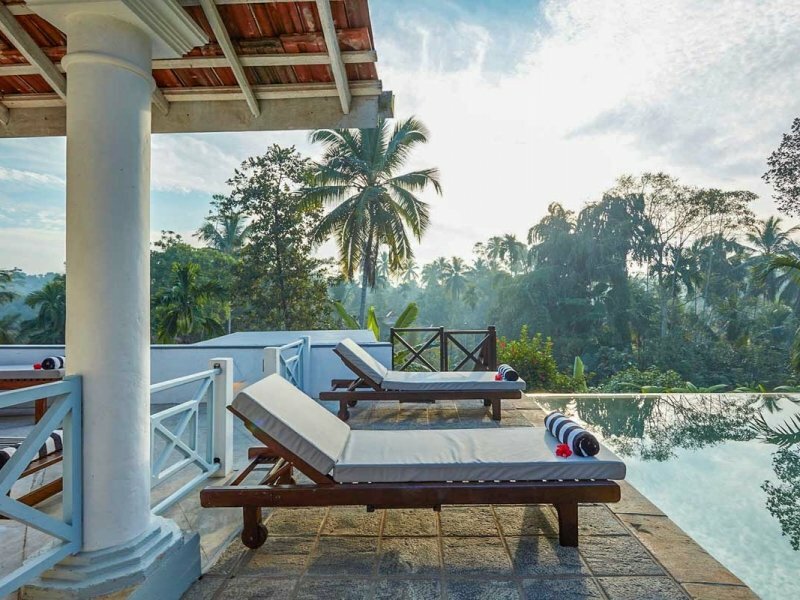 The villa’s jungle swimming pool is blissfully inviting, as are the cabinets of well-thumbed books and the air-conditioned TV room sporting an oversized cushioned daybed. 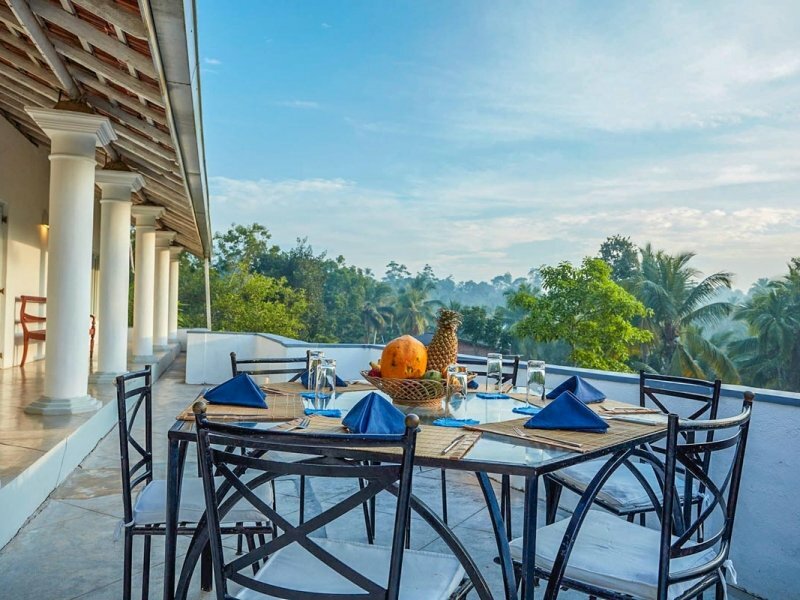 Nothing is too much trouble for the staff team; whether you need a tuk-tuk to explore the local sights, a sumptuous seafood barbecue or a special birthday surprise, they will make it happen. 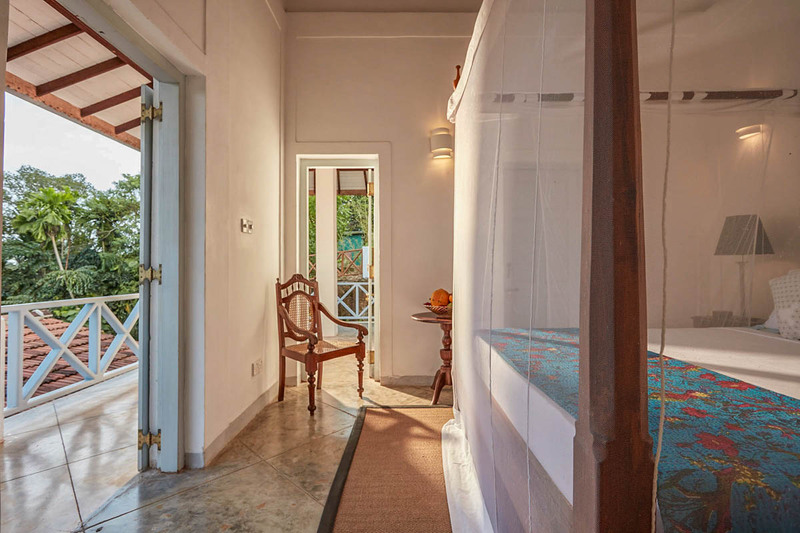 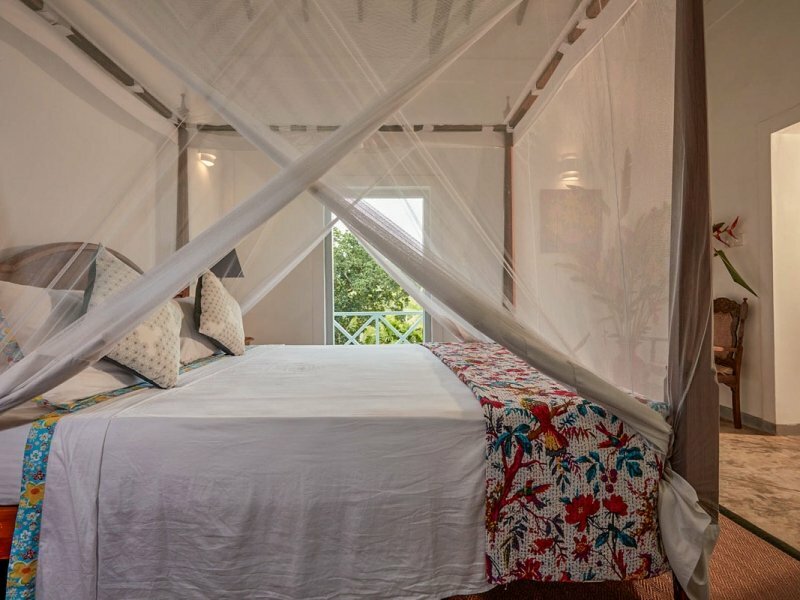 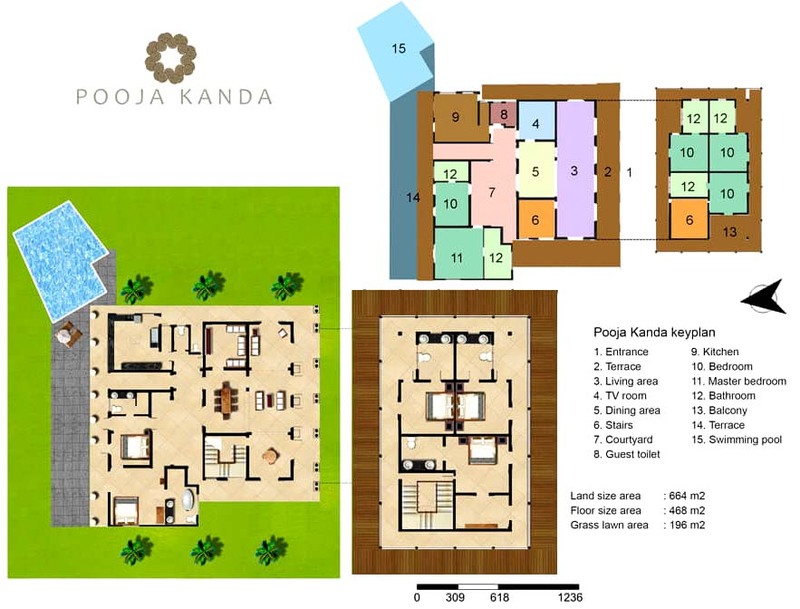 Groups of friends and families will love the spaciousness of Villa Pooja Kanda, which comes with plenty of children’s facilities including a pool safety fence, two extra beds, a cot, a variety of games and other essential baby equipment. 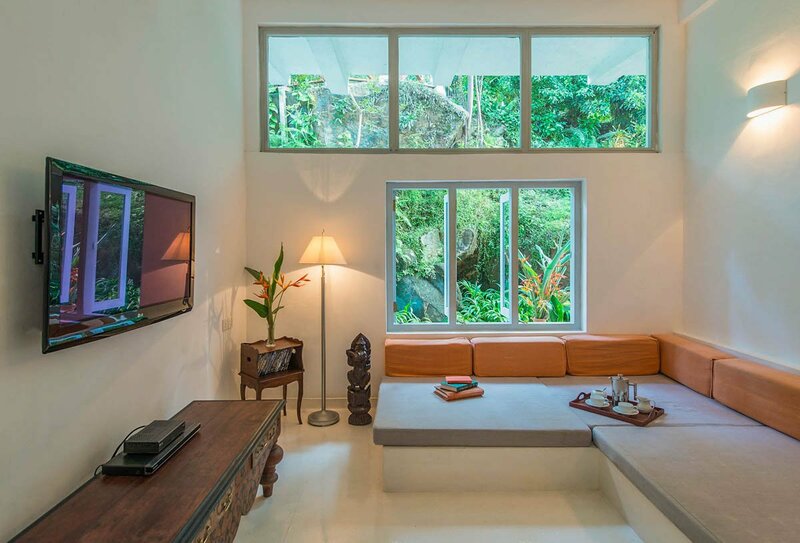 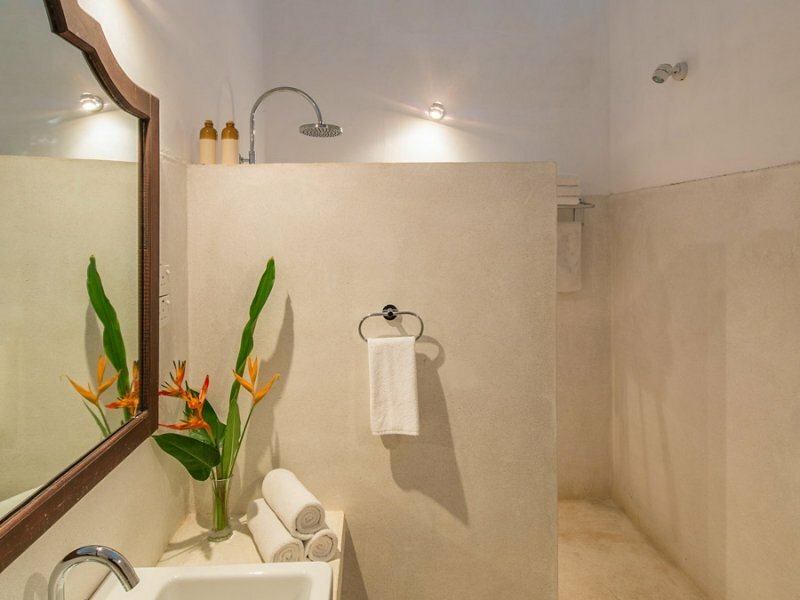 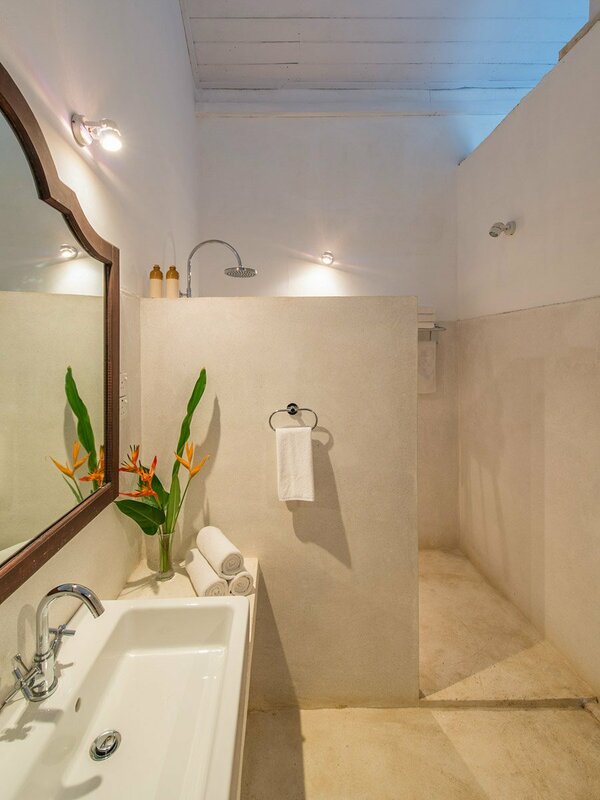 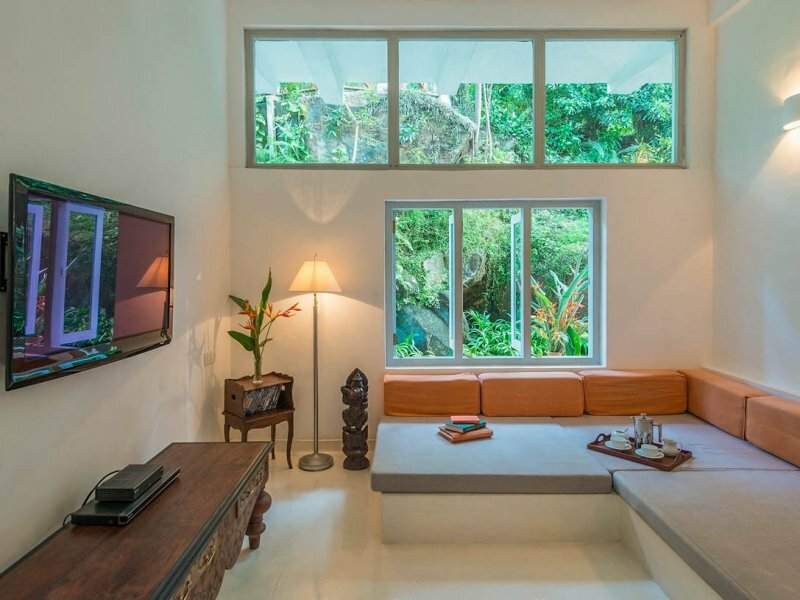 Even if you come as a big family group, the villa’s roominess allows each generation ample space to relax and unwind. 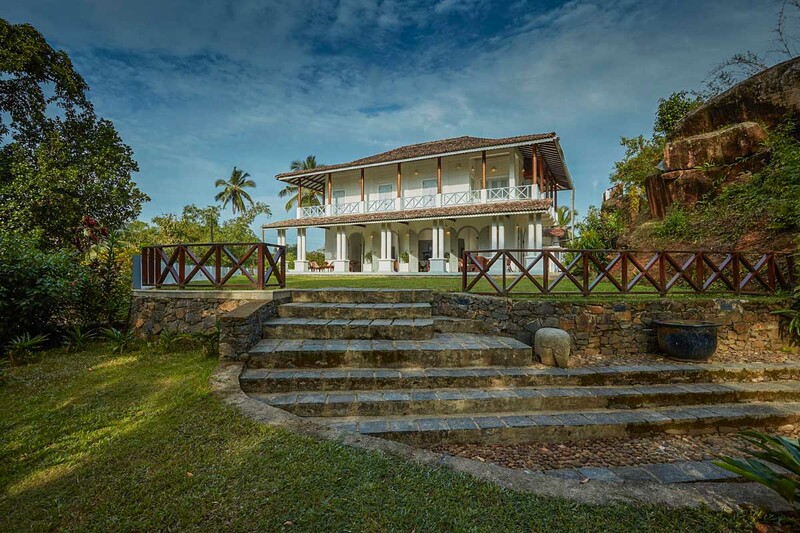 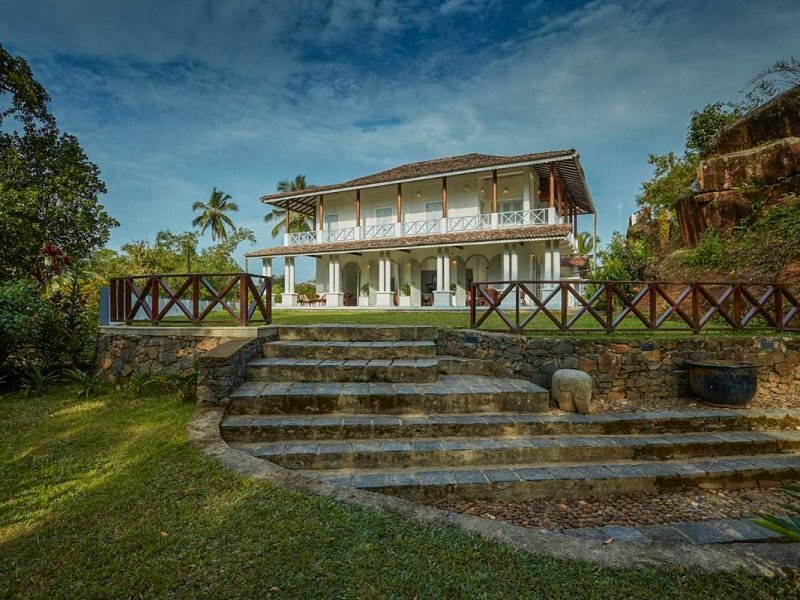 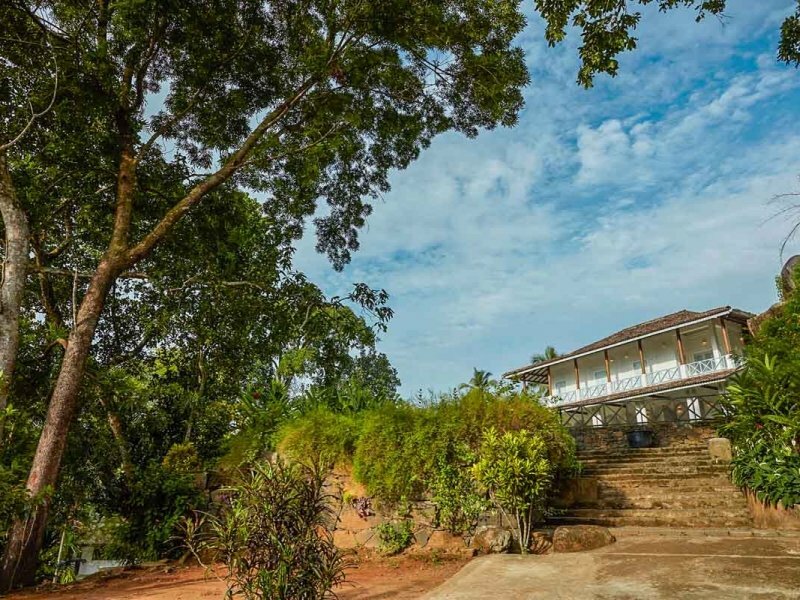 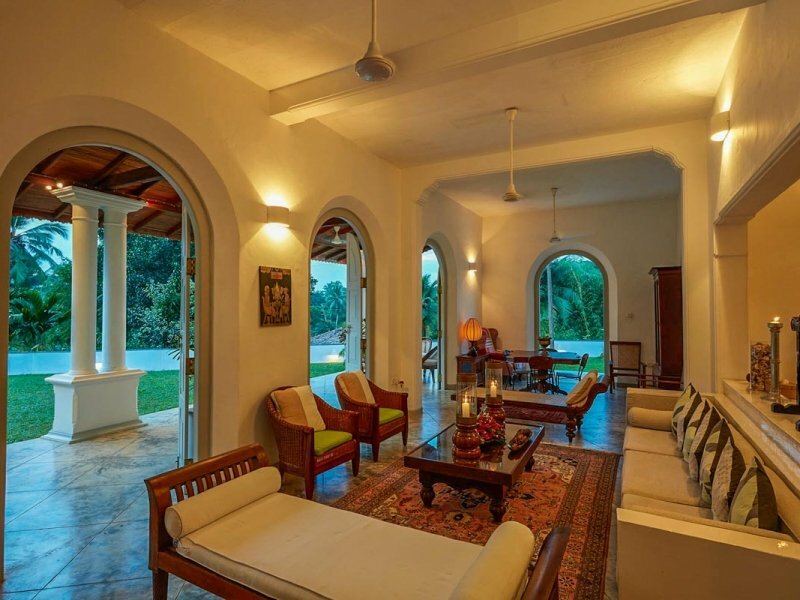 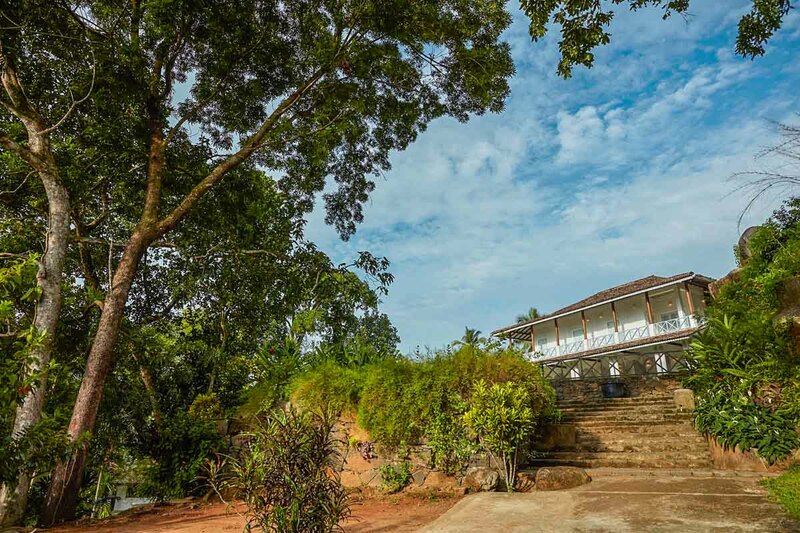 Villa Pooja Kanda is located in a rural village a few kilometers inland from Habaraduwa, with many attractions close by. 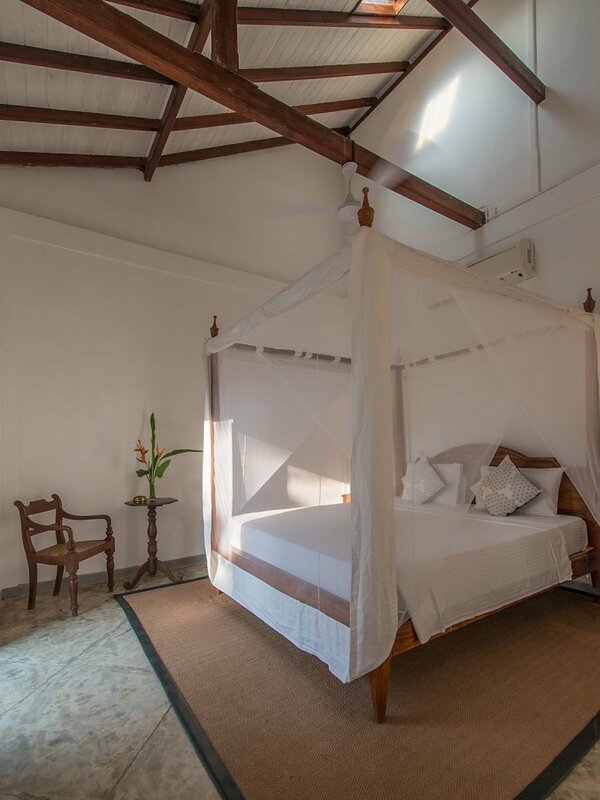 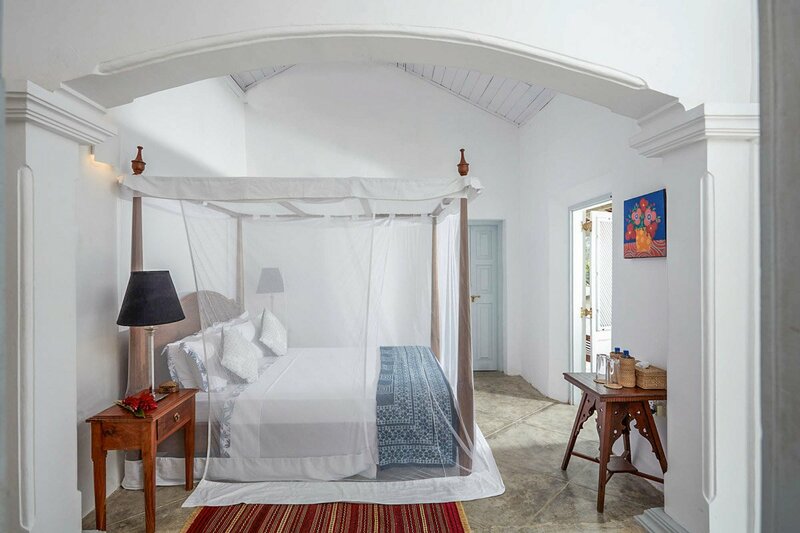 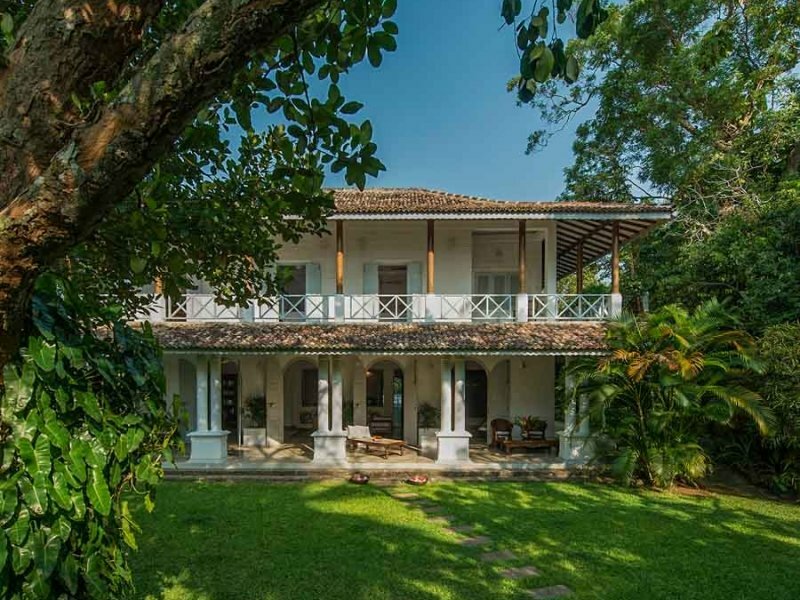 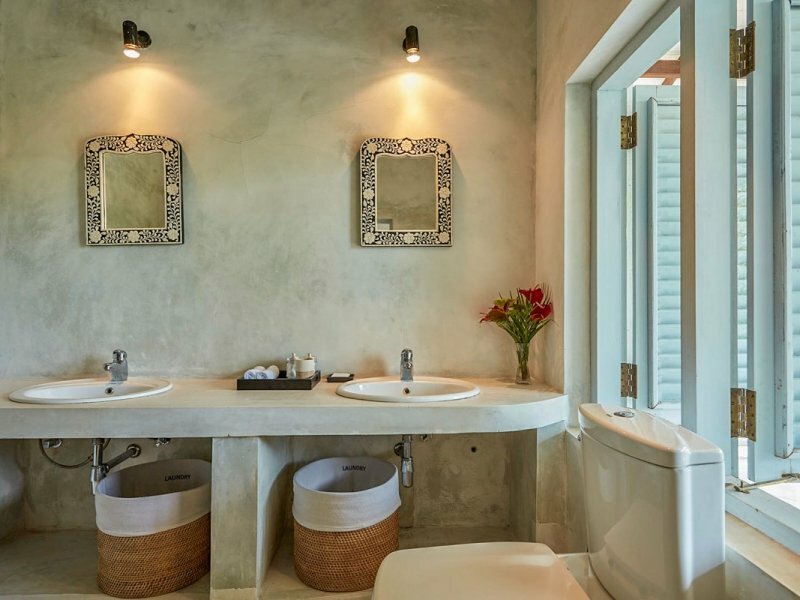 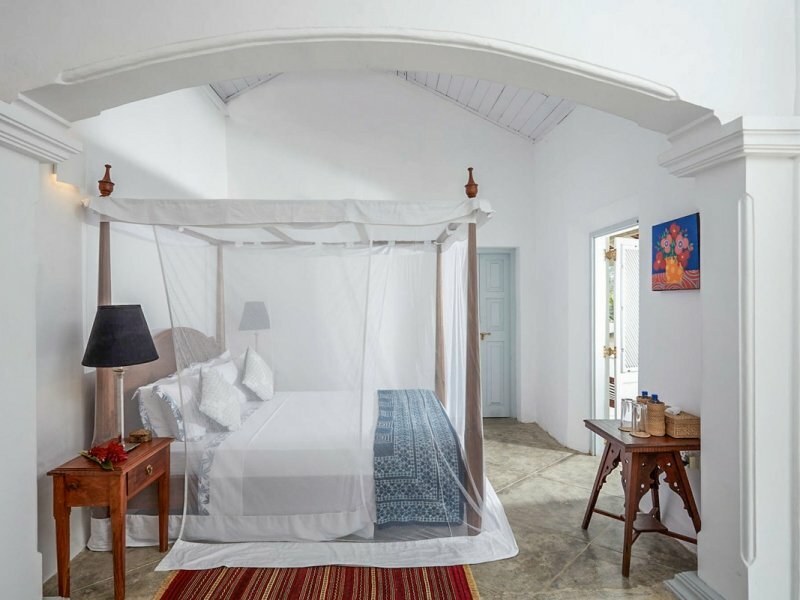 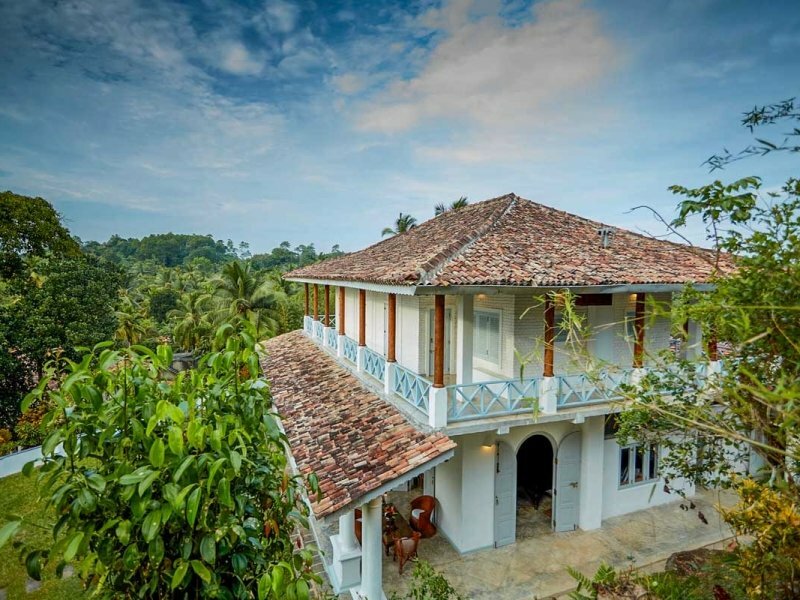 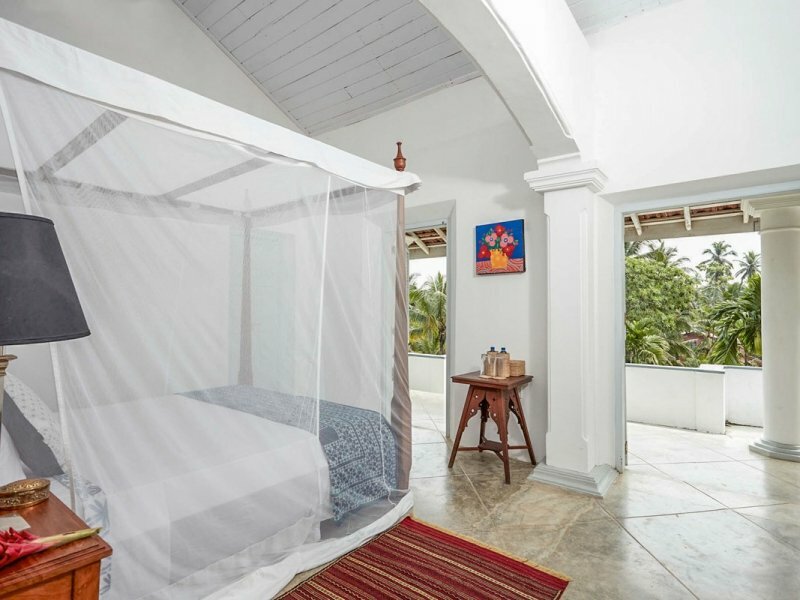 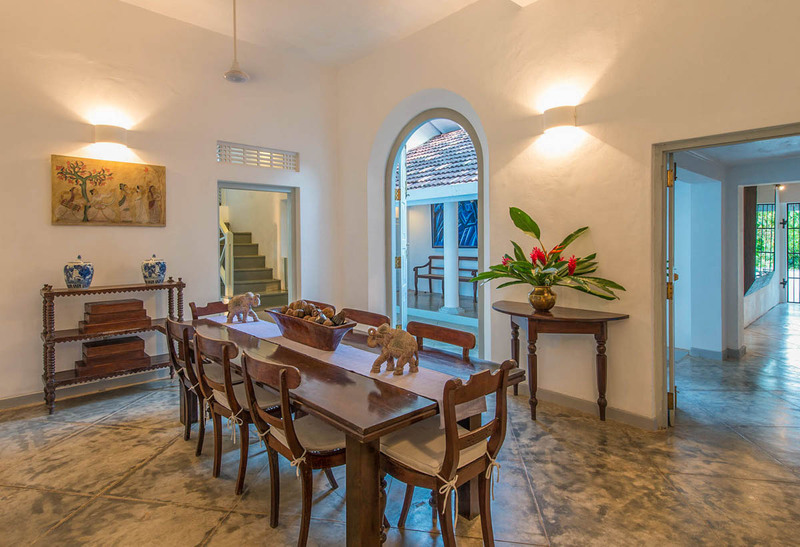 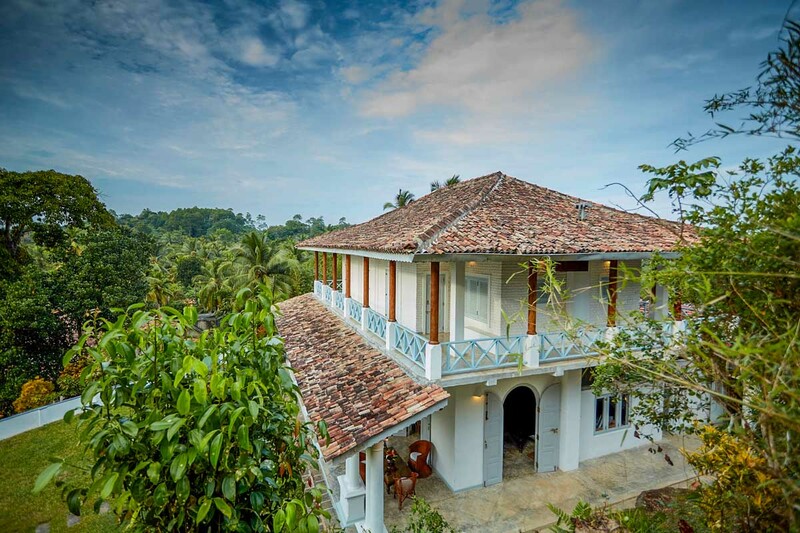 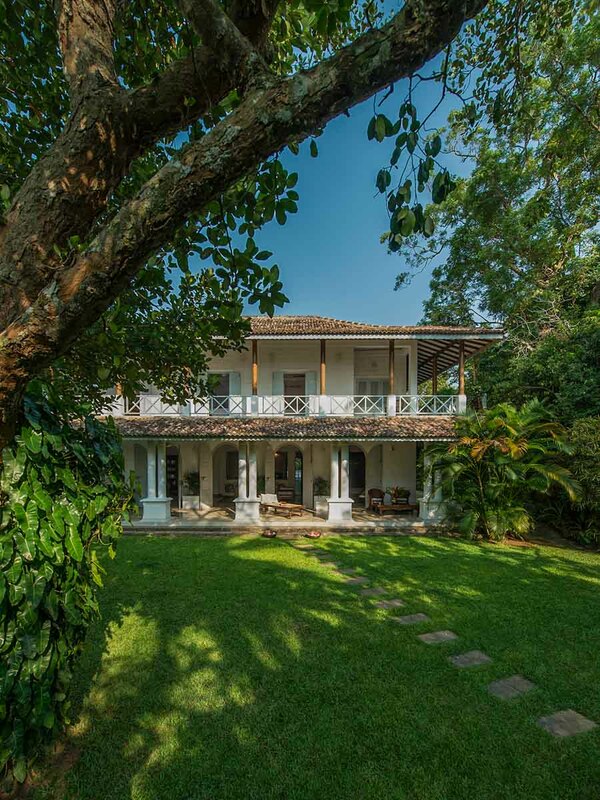 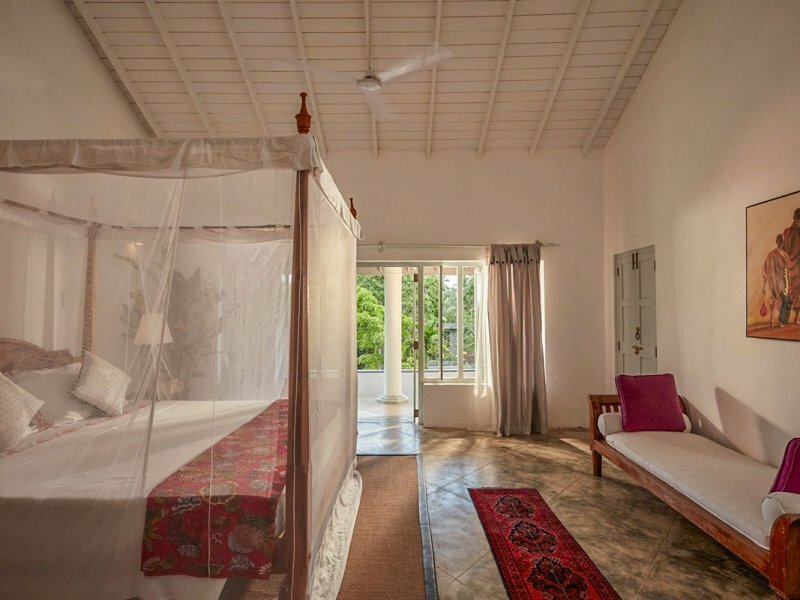 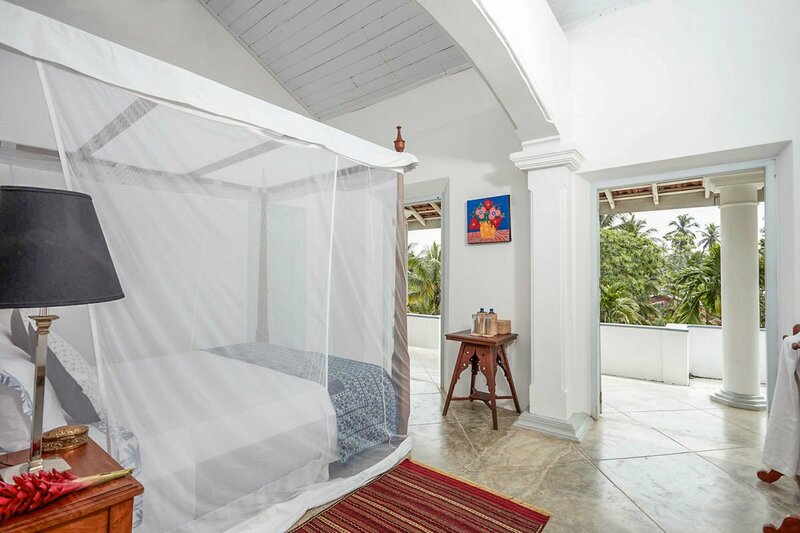 The villa makes a blissful base for enjoying the region’s golden beaches, the serenity of Koggala Lake and the southern tea plantations, while the striking UNESCO-listed Galle Fort is only a 20-minute drive away. 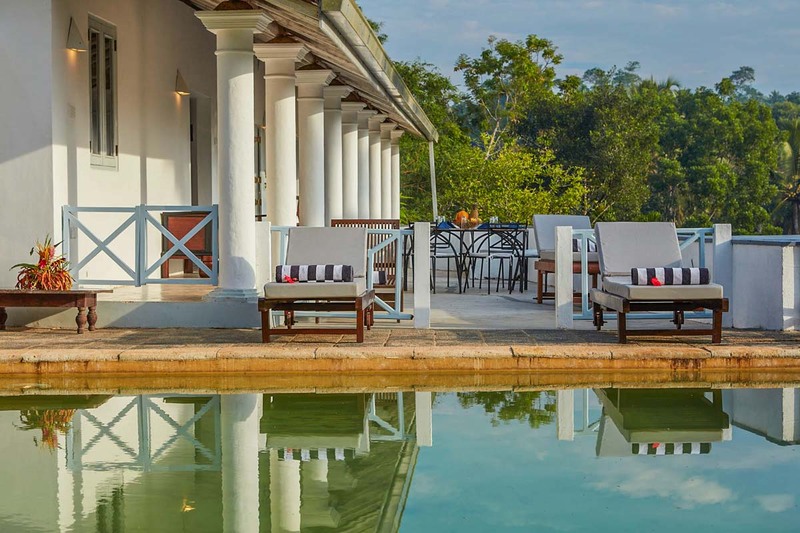 Activities include cycling Galle’s hinterland, scuba diving, and seasonal whale watching. 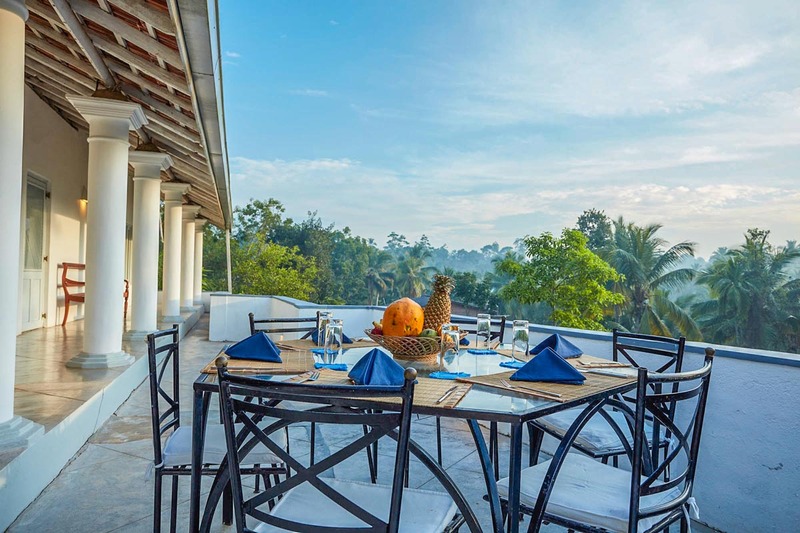 Pooja Kanda sits on the top of a hill near Koggala and the south-coast market town of Habaraduwa, ten minutes’ inland from the beach. 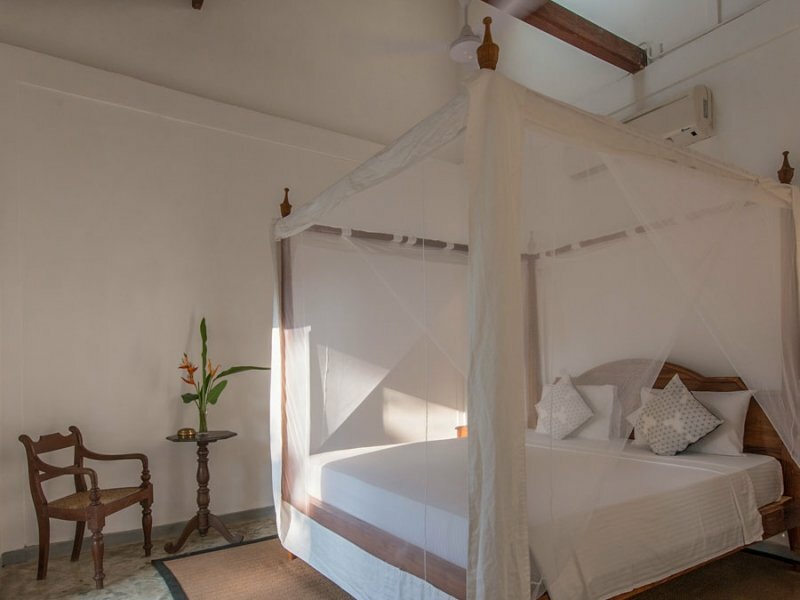 Famous for accommodating the celebrated Sri Lankan author, Martin Wickramasinghe (who has an interesting museum dedicated to him in town), Koggala has a fine stretch of beach and is renowned for its enchanting lagoon. 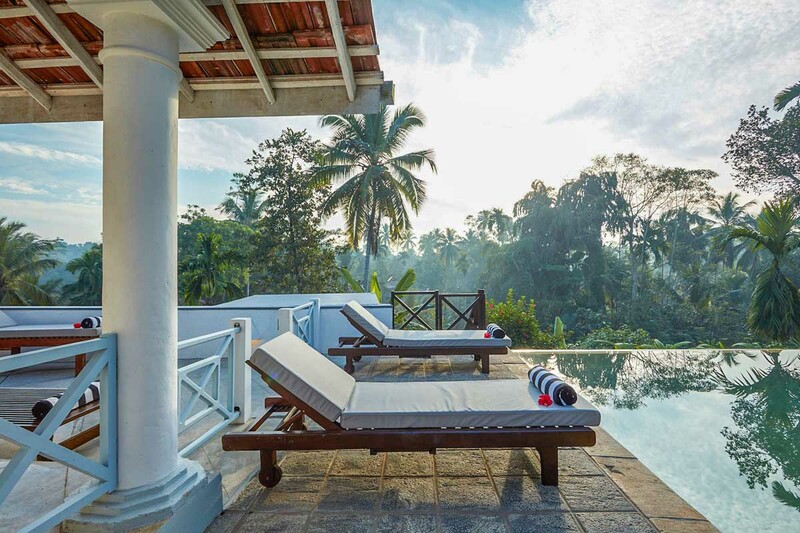 Here, rich jungle spills onto a meandering expense of water traversed by fishermen leaving nothing but soft ripples in their wake. 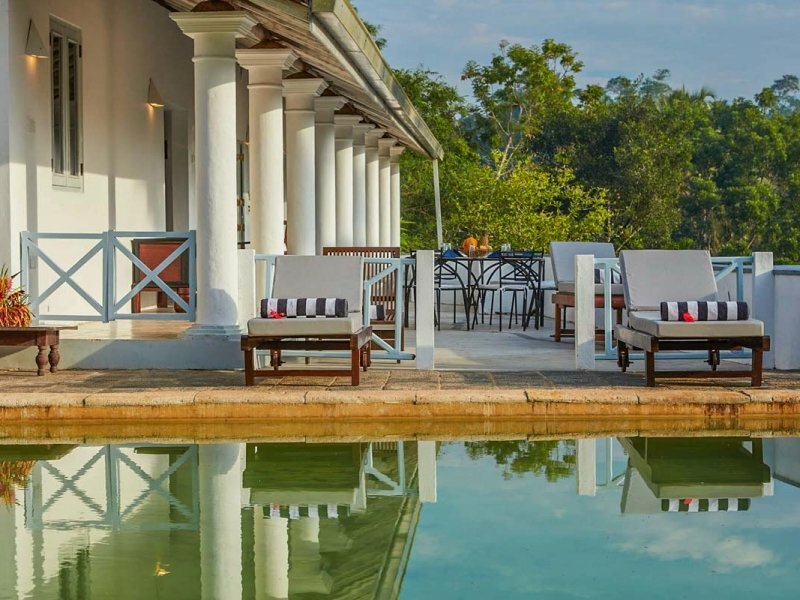 A boat ride to spice gardens, bird-filled islands and Buddhist temples is the best way to familiarise yourself with these sensational surroundings and be absorbed by local life around the lake. 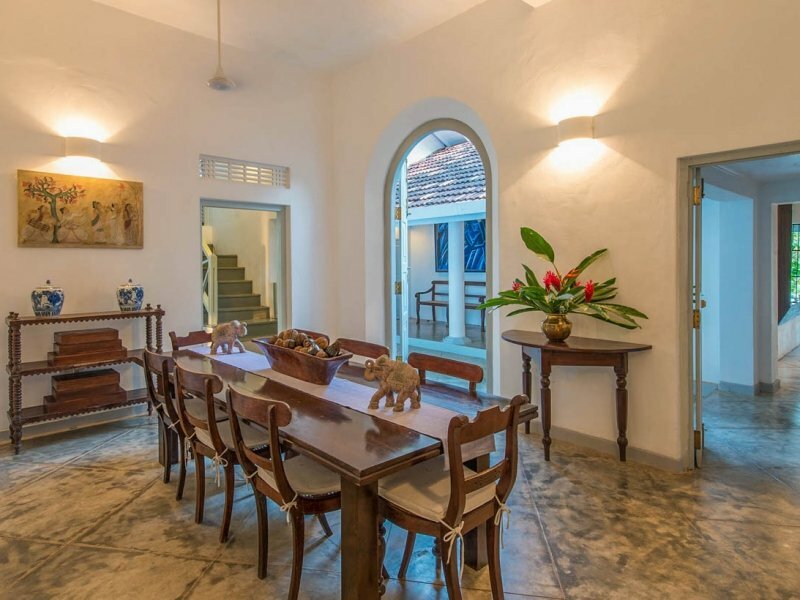 Galle’s seventeenth-century Dutch fort – a UNESCO World Heritage Site – is a 20-minute drive away. 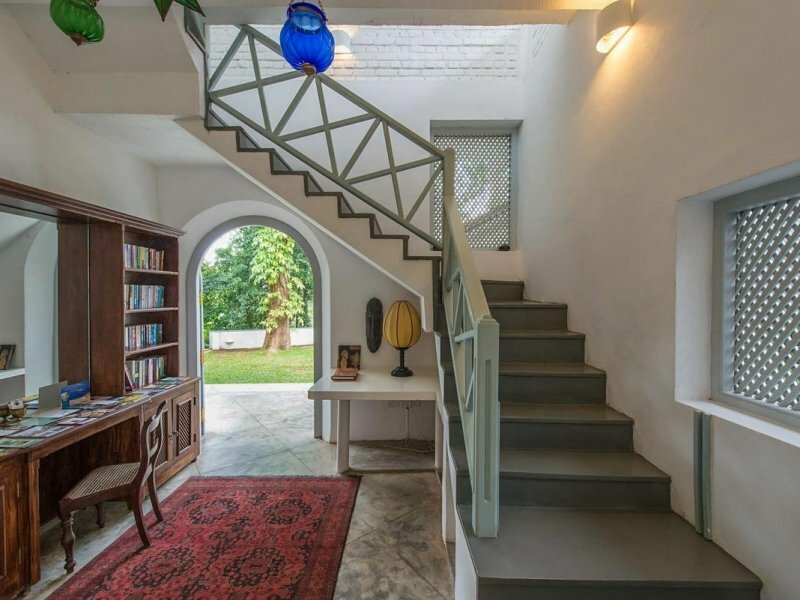 The fort’s narrow cobbled streets are home to splendid colonial buildings, tiny cafes, churches, boutiques and museums whilst its mighty grass-tufted ramparts are the place to be for superb seaside sunsets.